The 80+ year old automotive specialty tool manufacturer A&E, had historically divided its marketing efforts among four legacy brand names creating inefficiencies and not enough brand recognition in the industry. Imagine conducted research among A&E’s target audience, and determined that their existing brand names had no recognition and a weak image with minimal equity. 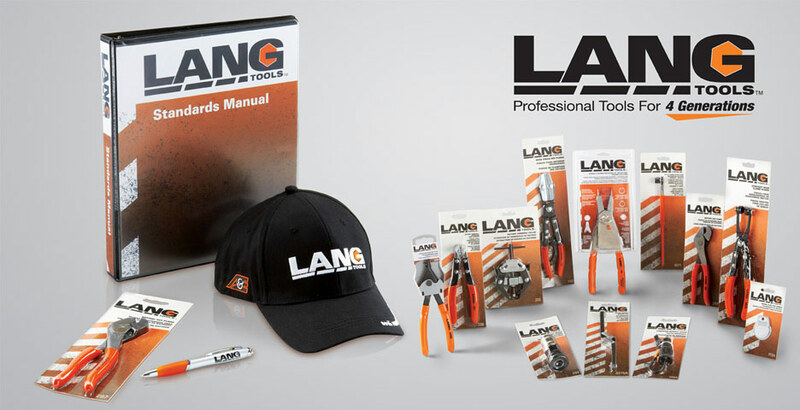 Imagine developed a brand strategy to consolidate the four brands under a single, new brand name – Lang Tools – using the owners’ family name. Combined with a new tag line – Professional Tools for 4 Generations – the auto repair professional target audience could then relate to the history of company ownership and management. Imagine started with a logo to represent the new brand identity, and then carried it into new packaging designs. We wrote and designed a new corporate brochure to champion the new company direction to the marketplace, developed additional print collateral and print ads, and designed the trade show booth for the brand introduction at AAPEX 2011. And finally, a complete brand standards manual was developed to ensure consistent application of the new direction.